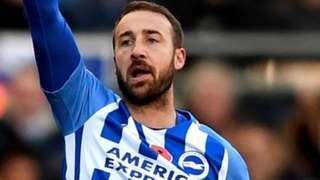 Glenn Murray scores his third goal in two games as Brighton recover from going a goal behind to earn a draw against Southampton. 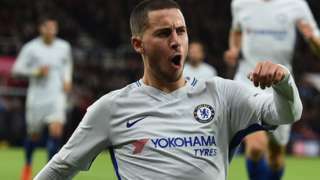 Eden Hazard's second-half strike gives Chelsea victory over struggling Bournemouth. 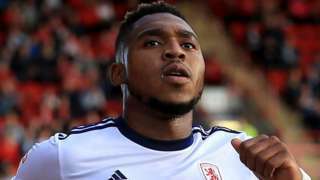 Middlesbrough earn their first win in six Championship games in a hard-fought game at struggling Reading. 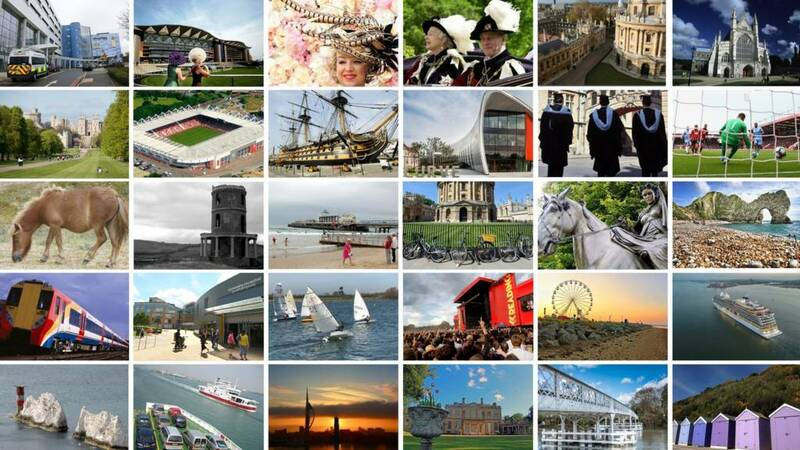 We'll be back again at 08:00 on Monday with all of the latest news, travel, sport and weather for the region. The Department for Education has released a statement about today’s decision to make Sandown Bay Academy a council-run school. It says the options were "carefully considered" and that it has approved, in-principle, its closure at the end of the academic year. "Our priority is to ensure all children receive the best possible education and where that is not happening action must be taken," a spokesperson added. "We will work closely with the local authority to ensure Sandown Bay Academy pupils will have a school place for the 2018/19 academic year." The wife of an Army sergeant accused of tampering with her parachute said she should have never survived a 4,000ft fall, a court has been told. Victoria Cilliers, 42, suffered multiple injuries in a fall in Wiltshire in April 2015. Emile Cilliers, 37, an Army sergeant based in Aldershot, denies two counts of attempted murder and one of recklessly endangering life. Mrs Cilliers told the court she could not categorically say if it was or was not an accident. But she added: "Never in the history of parachuting worldwide has it happened." The trial at Winchester Crown Court continues. A blue plaque to mark Poole Museum's role in the history of flying boat services has been unveiled today. 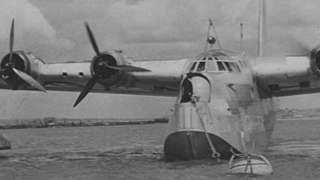 British Overseas Airways Corporation, Royal Australian Air Force, the RAF and the Fleet Air Arm's seaplane training division all flew out of Poole Harbour during the 1930s and 40s. The Mayor of Poole, Lindsay Wilson, unveiled the plaque. It features an image of an Empire Class flying boat. Flying boats left from Poole Harbour for America and other parts of the British Empire through the 1930s and 40s. A community hall in Witney has been taken off the market and will be turned into a community hub. Langdale Hall was previously being sold to fund the Corn Exchange refurbishment but the council has found funding elsewhere. The Inclusive Care and Education Centre is one of several charities and local groups that hope to move into the hub early next year. The Royal Navy's new £3bn aircraft carrier will depart for sea trials on Monday, Portsmouth's harbour authority has said. Earlier this week, HMS Queen Elizabeth's operator said the ship was unable to leave port because of bad weather and ongoing engineering work. The Aircraft Carrier Alliance (ACA) said: "We plan to sail later this week when we can ensure a safe exit." The Queen's Harbourmaster at Portsmouth said the 12:45 departure on Monday was "confirmed" and not "provisional". Stephen Hawking is the first speaker at Oxford University's Mathematical Institute for the Inaugural Roger Penrose Lecture. The lecture is sold out but you can watch the famous theoretical physicist and cosmologist live on the University of Oxford Facebook channel. 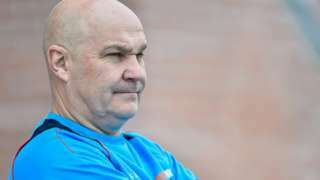 Eastleigh chairman Stewart Donald will keep faith with management pair Richard Hill and Andy Hessenthaler. A £10m quay to accommodate large cruise and cargo ships will be opened on 23 January, the port's operator has said. Work began in January to construct the 200m (650ft) long South Quay at Poole in Dorset. The Hamworthy site will enable the port to handle longer and heavier vessels, Poole Harbour Commissioners (PHC) said. The operator said it could generate an extra £10m a year for the local economy. CCTV images have been released of men who may have information about an attack that left a man with a split jaw. The incident took place outside a parade of shops next to The Silver Birch public house in Bracknell on 22 September at about 23:30. The 40-year-old male victim was punched in the head by a group of people, causing serious injuries to his jaw. He was taken to hospital and now has a metal plate holding his jaw together. Det Con Michele Green from Thames Valley Police said: "I am keen to speak to the men in these CCTV images, as they could have information which is vital to our investigation into this incident." A420 Oxfordshire both ways severe accident, between Buckland Road and Buckland Road affecting Pine Woods Road. A420 Oxfordshire - Heavy traffic on A420 in both directions in Buckland between the Buckland Road junction and Buckland Road, because of an accident earlier on. All lanes have been re-opened. Congestion to the Pine Woods Road junction and to the Carswell Lane junction. Sandown Bay Academy on the Isle of Wight is to be merged with a local primary school to create an all-through school run by the local council. The Department for Education (DfE) has given conditional in-principle approval for the closure of the academy, which at the moment is run by the Academies Enterprise Trust. The academy was rated "inadequate" by Ofsted earlier this year because of "ineffective leadership at all levels". Paul Brading, cabinet member for children’s services, called it "fantastic news" that would "make Sandown a centre of educational excellence". Bob Seely MP said: "This is a victory for everyone involved but particularly for parents in the bay area who made it clear this is what they wanted." A spokesperson for the trust said: "We are committed to supporting the DfE and council plans by ensuring the best possible provision at Sandown Bay for the rest of this academic year and working together to secure an orderly transition before we step aside in August 2018." 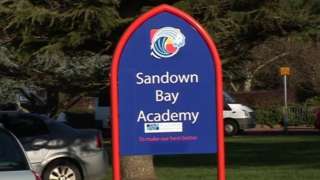 Sandown Bay Academy will become council-run and will merge with a primary school. An Oxford councillor who said he would like to tell some rough sleepers they are a disgrace and that they "ought to have more respect" won't face any further action. John Tanner, who made the comments on BBC Radio Oxford, has admitted that they were "very unwise". "I was quite wrong to imply that it was in any way the fault of the beggars," he added. He has since apologised formally to the council and councillors, and issued a press release. The Oxford City Council report said he had "voluntarily and speedily undertaken the actions the panel would have been likely to have required of him", and had taken "reasonable and effective steps to make amends for the lapse in judgement". M25 Surrey clockwise severe accident, between J13 for A30 and J14 for A3113 Airport Way. M25 Surrey - One lane closed and queuing traffic on M25 clockwise between J13, A30 (Staines) and J14, A3113 (Heathrow Terminal 4), because of an accident. A woman who urinated on a homeless man's belongings before her friend set them on fire has been jailed. Nicola King, 23, handed a lighter to 25-year-old Jerely Evans so she could burn bedding in the doorway of a closed shop in Portsmouth. King, of no fixed address, pleaded guilty to arson at an earlier hearing. Jailing her for four months at Portsmouth Magistrates' Court, Judge Anthony Callaway said it was "a cruel act on a vulnerable and isolated man". Nicola King and her friend Jerely Evans set fire to a homeless man's possessions in Portsmouth. The Royal Marines were ridiculed after newspapers claimed they surrendered without firing a shot. Users have also complained about queues and difficulties using new waterslides. The team of volunteers give up their time to investigate ghoulish claims and strange noises. A report into Aston McLean's death claims a marked police car was used as a "moving barrier".